I have recently done a strategy tester that backtested perfectly fine last week. I have been tweaking my program, and I went to back test again. when I did, I realized the results were way off. Upon closer inspection, it was as if the chart was not being utilized at all. 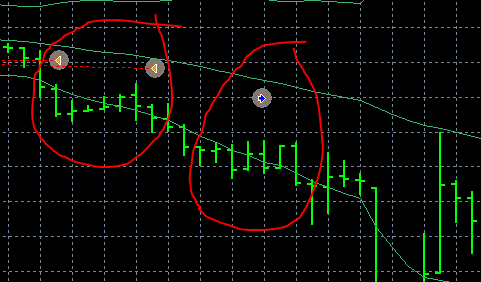 The Strategy Tester is opening trades way above or below price action... sometimes by 5 whole pips. Mind you, this is with Forex.com and strateg test on M5 Time frame with 'Each Tick' setting. I have attached an image below if that helps. Can anyone explain what on earth is happening here?